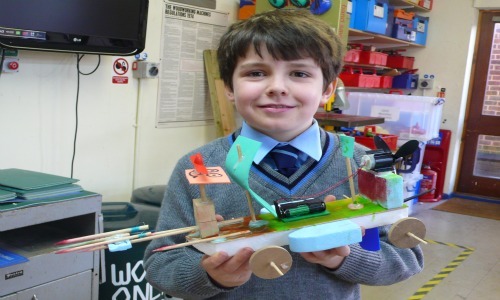 In Design and Technology at Papplewick, boys combine practical and technological skills with creative thinking to design and make products and systems that meet human needs. 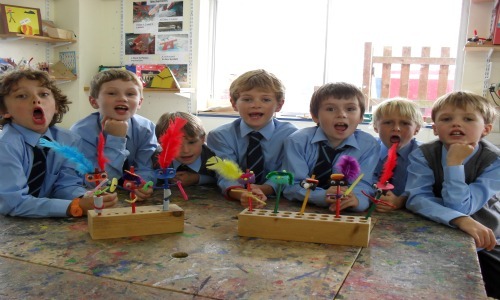 The boys are often challenged to think creatively in order to solve problems whether they are working as individuals or as members of a team. Every boy is taught Design and Technology lessons at Papplewick. There are also the ever popular 'Extra DT' activities and there is a thriving Design Technology scholarship programme for selected boys. Typical projects include: Lego Technic, Mechanical toys, CAD/CAM, MP3 Amplifier project, Clocks, Sheep shearing, Steady Hand game and Picture Frames.